Trademarks, copyrights and patents all fall under the umbrella of intellectual property. Generally speaking, these official registrations help protect the ideas, inventions and products of companies or individuals. They can provide official documentation of original ownership and can hold up in court, should unscrupulous companies or individuals lay claim to the same work and try to profit from it. The type of official registration and protection you seek will depend on the work that you have created. Trademarks are brands that can be expressed through a word, symbol, slogan or design. They can also be combinations of any of the aforementioned. Generally, a trademark is used to help consumers differentiate between one company’s products and another’s. In some instances, it can also imply an idea of quality. To receive a trademark, you must have a business engaged in commercial enterprises and the mark itself must be something that no other company uses. To be registered, the trademark must be current in use and easily distinguishable as compared to other companies and other registered trademarks. If you own a business that operates within a competitive industry, you may be interested in obtaining a trademark to help sell your products. When attempting to create a trademark, designers should always make potential marks as distinctive as possible. Even if you haven’t officially registered a trademark, your use of a new and distinctive one can be protected by common law rights. Should your products be particularly innovative or grow to be very popular, official registration can give you the protection you need if you have to engage in litigation against another company for counterfeiting or infringement activities. You may even be able to use it as grounds for unfair competition. Copyrighting is used to protect the creative output of authors of original works. There are several categories of work that are eligible to be copyrighted, which include but are not limited to literature, music, dramatic works like plays, choreography, films, computer programs and architecture. While copyrights exist upon the creation of a work, officially registering a copyright can provide you with further proof of your claim to the work. If you’re the author of any one of the aforementioned types of original works, you may be eligible to copyright it through the United States Copyright Office. After officially registering your work, it will be protected for the length of your life, and 70 years after that. Copyrighting documents may also be able to serve as legal proof of your claim to the work, if you find that someone has lifted it and claimed it as their own later. It should be noted that while copyrighting can protect an artists’ creative expression that has been recorded onto a physical medium, it cannot, and does not, protect ideas. In addition, titles, names and phrases, slogans, facts, procedures and methods are not copyrightable. If your work contains a slogan that you want to protect, you may consider treating it as a trademark instead. Simply put, patents are designed to protect inventions. If you’ve created a new device that the world has never seen before, then you may be eligible to register a patent. Patents can also protect improvements on already existing items. When you’ve been granted a patent, no one else can make or use your invention without being subject to legal recourse. In addition, anyone who tries to sell your invention without your permission will be doing so illegally. Several types of patents exist for those who are interested in applying for one. Utility, design, and plant patents were all created to protect different types of patents and the inventors who innovated them. In general, utility patents are for those inventors who create machines, design patents are for those who’ve made inroads on designs for manufacture, and plant patents are specifically for people who have invented, and sometimes even discovered, new types of plants. Since all of these patents differ in small but distinct ways, it can be important to choose the right type of patent application to protect your invention. 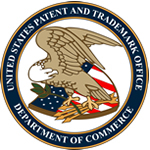 New applications for every type of patent can be found at The United States Patent and Trademark Office.